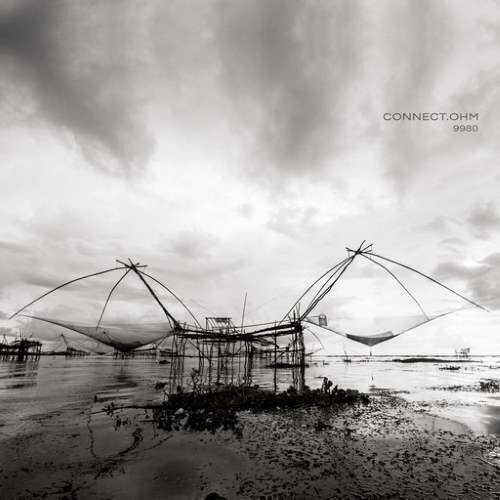 Ultimae proudly presents the new remastered edition of Connect.Ohm's first album 9980 a subtle and emotive story born of the musical encounter between Hidetoshi Koizumi aka Hybrid Leisureland and Alexandre Scheffer aka Cell. The nine tracks on 9980 compose a serene ballad in atmospheric realms where finely chiseled rhythms and fluid melodies are sustained by discreet downtempo grooves and deep drones. Koizumi's widely spread, otherworldly, organic, sustained wizardry, compliments Scheffer's spiraling, liquid, delicate yet sumptuous acid ambient type architecture. This combination creates a kinetic and spacious tapestry that stimulates the mind and soul. A pure delight for vast soundscapes audiophiles. This second edition released with a brand new artwork will be available in CD.